Don’t see the Generate Locations Settings? It’s new to Page Generator Pro 1.8.3 and higher. Ensure that your license is valid, not expired and that you’ve updated to the latest version of the Plugin. The Generate Locations Settings provides options for defining default form values when using the Keywords: Generate Locations functionality. Click the Generate Locations tab. 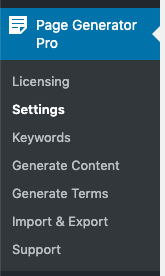 Method: The default method to select when using the Keywords > Generate Locations functionality. 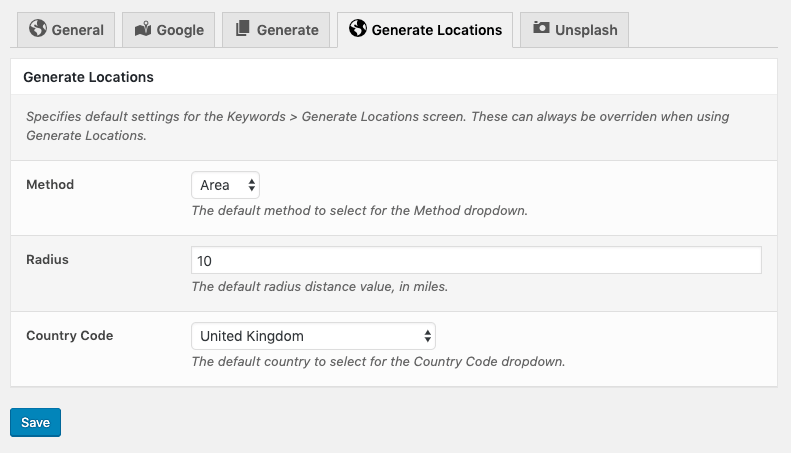 Country Code: The default country to select when using the Keywords > Generate Locations functionality.